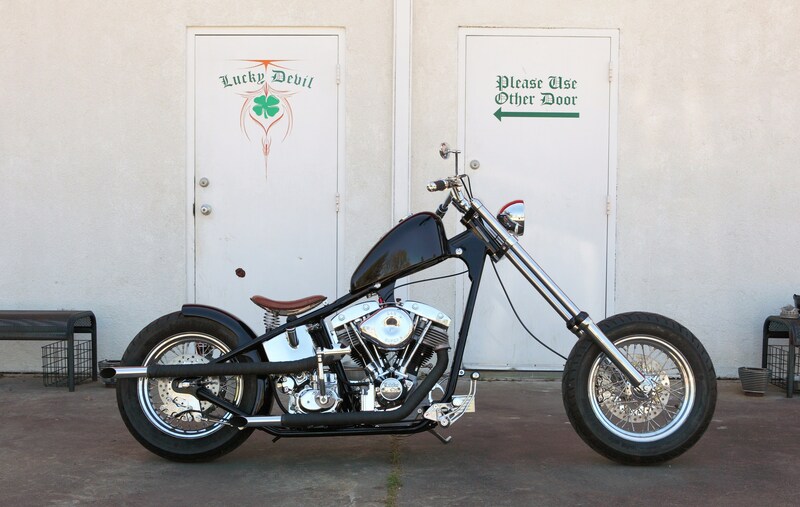 Home / Featured Dealers Of The Month / FEATURED DEALER OF THE MONTH: Lucky Devil Metal Works Inc. 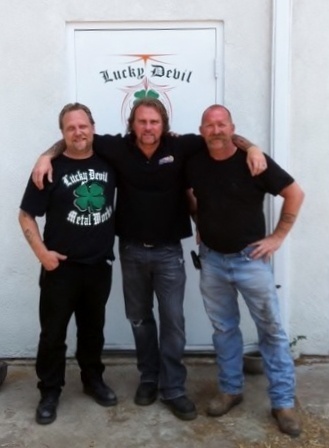 FEATURED DEALER OF THE MONTH: Lucky Devil Metal Works Inc.
A: My main specialty is metal forming, custom fabrication, and machine work. Though, I also turn wrenches, paint, and do body work. 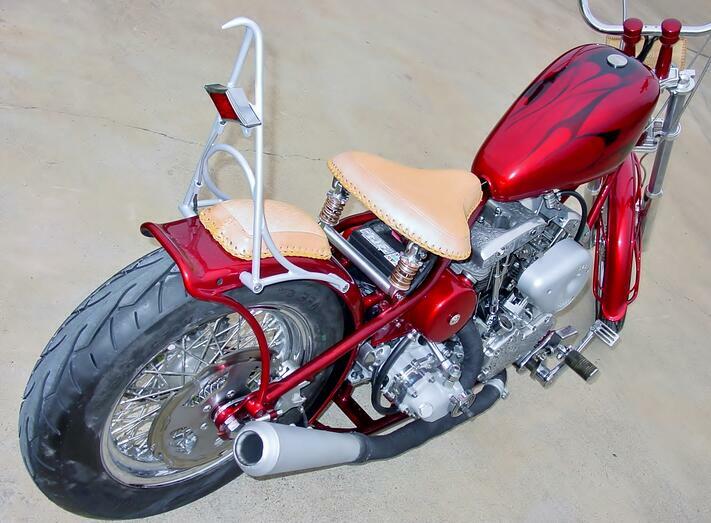 A: A good friend gave me an old 1969 XLCH before I opened Lucky Devil and she is still the only bike I own. A: The 6-into-4, the N1 shift drum, the OD6, but really I love all the products I have worked with from Baker and lust after the ones I haven't...yet. 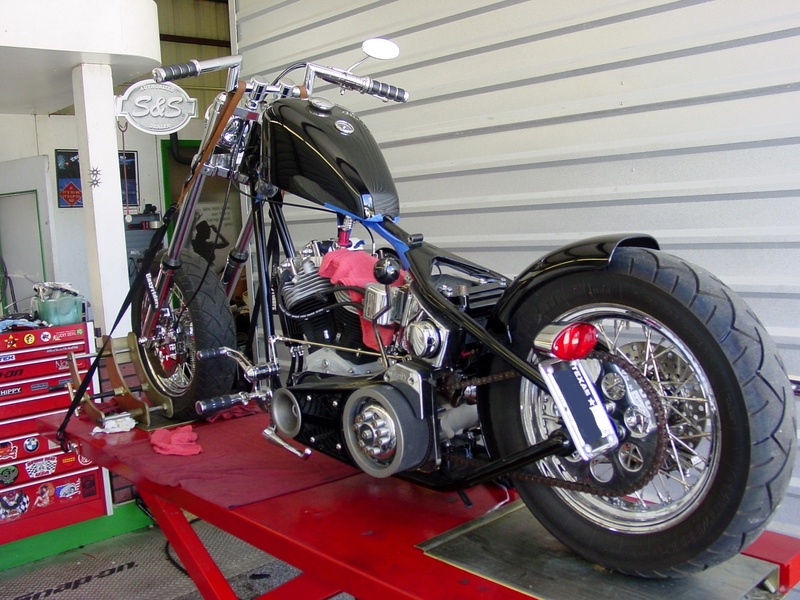 A: Betty, a black shovel chopper with 16" x 3.5 wheels front and rear. A: I guess my favorite was when Mark and Mr. Baker stopped by the old shop for a visit. 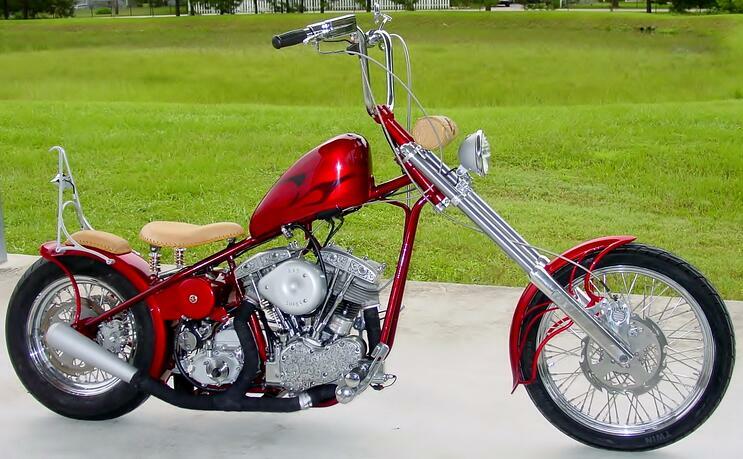 A: Just finishing up a long time specialty project "Little Red", a 1969 FL chopper restoration with a lot of detailed fab work, engraved cam cover, rocker boxes, 3" open belt with E start and a sweet 6-into-4 with a N1 shift drum (for a retired Vet). Q: Do you host any events? If so, what is the biggest or most important event? A: No, I am a one man shop these days so I don't host and rarely get out. A: Anything made inside our borders, not easy or cheap to do but well worth the effort in my opinion.